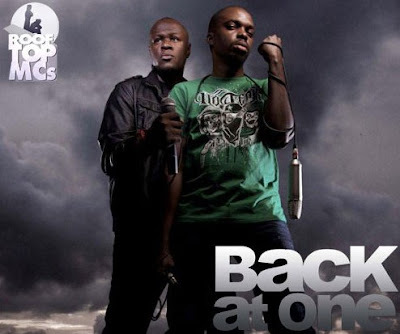 After 10 years of thrilling music lovers, gospel hip hop duo, RoofTop MCs are set to give back to their fans and at the same time make history. They are planning to distribute 500,000 copies of their new album Back at One free to their fans and also allow free download of the album on some designated online spots. I want one too o. Where is the collection or distribution point. Linda, biko use your connection to get me one o. Afterall 'awuf' no dey run bele.